A long story short, just got the car back from the panelbeater after getting work done on the front right bumper area - the damage was from running over a labrador on motorway, ripping off the front wheel liner, spoiler and parts of undertray. Unfortunately, the panelbeater either forgot to order all the parts and parts people didn't send them (my guess is they didn't order). I ran through the parts catalogue but not entirely sure which parts are missing. A couple of photos of the front end. 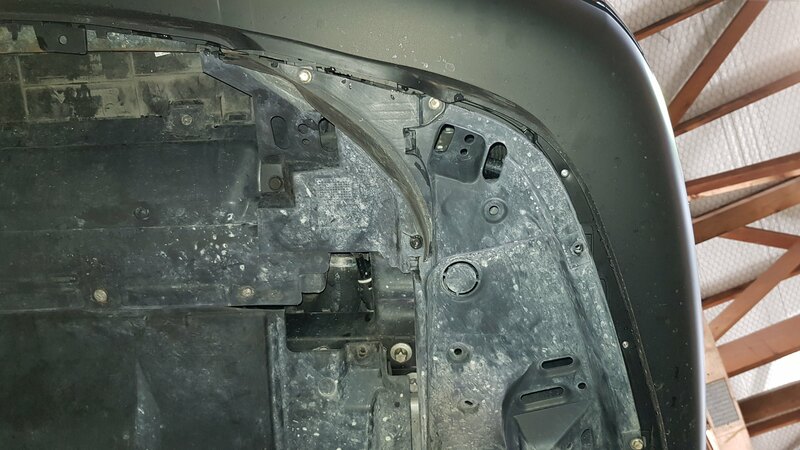 The front centre section - I think there is something missing, as there are two tabs on the bumper, then a big gap until there is an undertray. 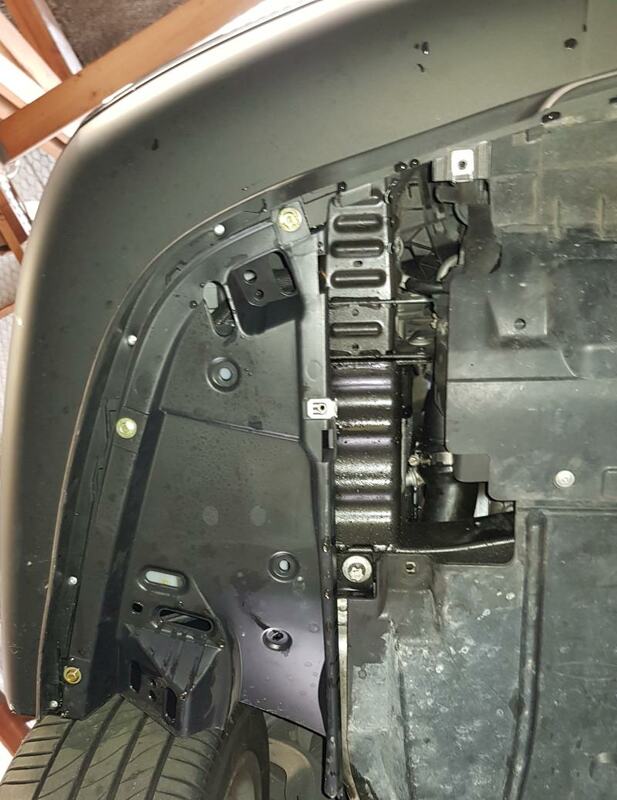 The front right section - there is a short spoiler section missing, which is most obvious with two brand new nutplates showing. The front left section, as a comparison. 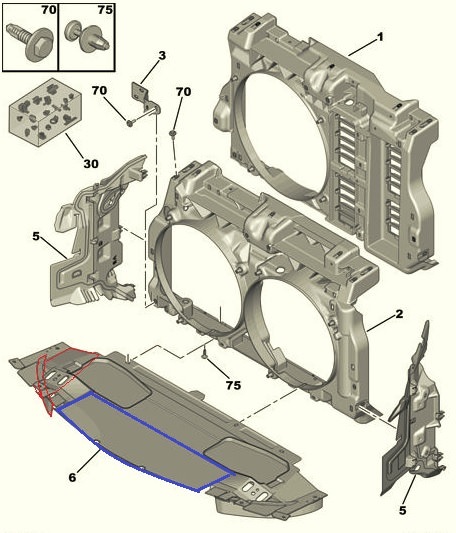 To me, the missing parts are parts of Front Frame, Item 6 (7104 Y2) - but item 6 doesn't seem to break down into lower assemblies like they are shown in the photos. What are your thoughts and what part numbers should I order? My thinking is that the panelbeater didn't order the undertray Item 6 and transplanted the old LH short spoiler section to the old undertray and the new bumper, which was how they managed to screw up. sorry nobody replied back sooner. To the best of my knowledge that is all, it just has a great big gap just in front of the lower bumper support. I remember thinking it was a bit odd, but that is it i'm afraid. Unfortunately mine is Euro 4. Which dates from 2006 on to early 2009. I believe mine was build in late 2006. But is still driving well. 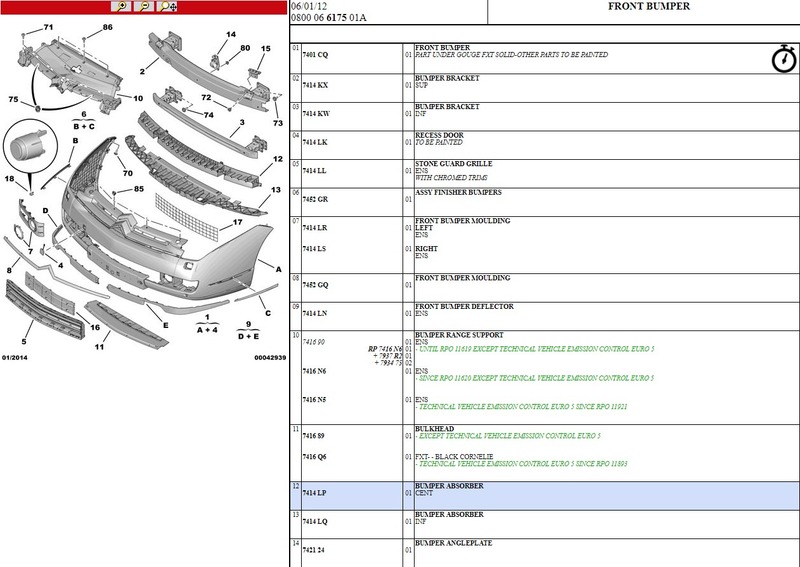 Oh, item 6 from the diagram above I believe is the lower tray for the bottom of the radiator. It is part of the cowelling design to help channel air through the radiator fans. I'll be fitting a new front end to the car myself as part of my 5yr rolling restoration project that the car is cycling through at the moment. I'm currently getting ready for a RT3 to RT5 upgrade. But on hold while I'm waiting for one final cable to arrive from France.